Eintracht Frankfurt and Benfica played out a thrilling, goal-laden first leg in Lisbon, and Kevin Hatchard doesn't expect the return fixture to be any less entertaining. "Frankfurt are incredibly attack-minded, and they'll go for it. Six of their 11 UEL games have featured at least four goals." It's been an extraordinary adventure for Eintracht Frankfurt in the Europa League. They won all six of their group games, and dumped Champions League combatants Shakhtar Donetsk and Inter out of the competition. Now Adi Hutter and his charges must somehow overturn a 4-2 first-leg deficit against a gifted Benfica side. Sunday's home defeat to Augsburg was their first domestic defeat of 2019, and means the Eagles have lost two games in a row for the first time since early December. However, no-one at the Commerzbank Arena is feeling too gloomy. SGE played most of the first leg is Lisbon with ten men after impressive young French defender Evan N'Dicka was sent off, and yet they still scored twice and made chances to score more goals. The absence of French striker Sebastien Haller has been keenly felt, although his Portuguese deputy Goncalo Paciencia has scored in his last two appearances. Haller is unlikely to be fit, so the goalscoring burden will fall on 21-year-old Luka Jovic, who was technically on loan from Benfica until making his move permanent yesterday. The Serbian international scored against his former parent club last week, and it wouldn't surprise me if he scored again. He is trading at [2.18] to find the net in 90 minutes, he has 17 Bundesliga goals and eight strikes in the UEL. Man-mountain Martin Hinteregger could be absent with a muscle strain, so Simon Falette could deputise. There is talk of Mijat Gacinovic possibly being deployed behind a front two of Jovic and Ante Rebic. Left wing-back Filip Kostic is in superb creative form - he's been involved in a goal in each of his last seven Bundesliga appearances. One of the benefits of promoting a youth coach to senior level is that he will often know in great detail how good the young talent he has at his disposal is. Bruno Lage knew all about 19-year-old attacking player Joao Felix, and instantly made him a first-team regular. Felix has been catching the eye in the Youth League and for the second team for several years, but now he is performing superbly on the big stage. Felix scored a stunning hat-trick in the first leg against Eintracht, and has now found the net ten times in his last 16 appearances. I've been told by people at Benfica that they expect bids of in excess of 100 million euros for him. Of course, Felix isn't the only good player at Benfica's disposal, and the Lisbon giants are neck-and-neck with old foes Porto in the Portuguese title race, and they are in pole position to reach the final four of the Europa League. 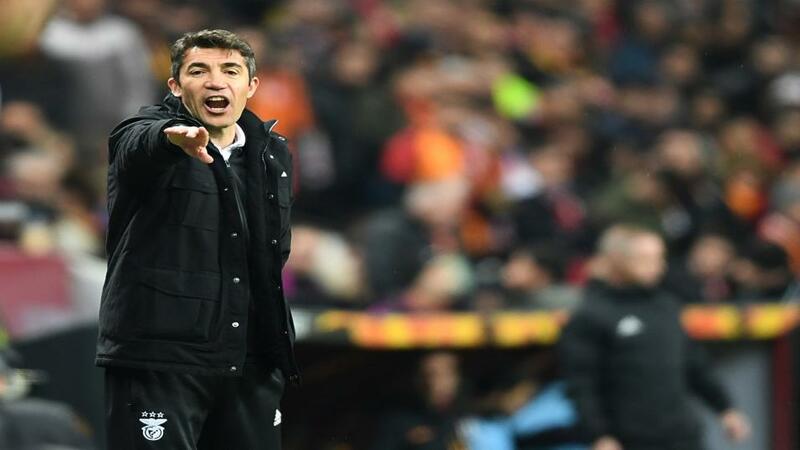 Lage has done a wonderful job since replacing Rui Vitoria as coach midway through the campaign. Pizzi and Rafa could feature out wide, with Felix partnering former Eintracht forward Haris Seferovic in attack. Midfield anchor Gabriel is still struggling with injury. Eintracht Frankfurt are trading at [3.25] in the To Qualify market. They have won four of their five home games in the Europa League, and the scoreline in all four of those victories would been enough to see them through to the last four. If you think Frankfurt will win the game but not quite win the tie, you could back them at [1.85] to simply win the second leg. Frankfurt sporting director Bruno Hubner has been talking about the team having a controlled approach, and not taking early risks, but I'm not sure who he is trying to kid. Frankfurt play an explosive pressing game, winning the ball high up the pitch and attacking at speed. The sell-out crowd on Thursday won't accept the team trying to be patient, they'll want them to fly at Benfica at 100 mph. I expect a breathtaking game, with a very dangerous Benfica playing their part. I'll back Over 3.5 Goals at [2.48]. That bet would've paid out in six of Frankfurt's 11 UEL games, and four of their last nine home games in all competitions.